London (AFP) - Arsenal manager Unai Emery is happy with his side's progress, but admits there is still work to do to match Liverpool's title challenge after a thrilling 1-1 draw between the sides on Saturday. 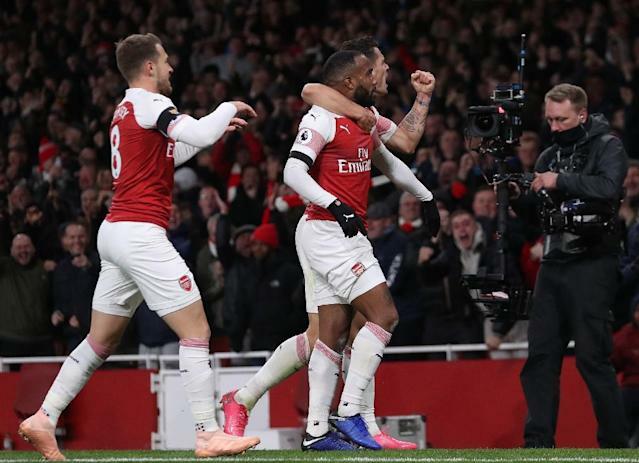 Alexandre Lacazette extended the Gunners unbeaten run to 14 games with an equaliser eight minutes from time to cancel out James Milner's opener as Liverpool edged a point clear of Manchester City at the top of the table. Arsenal remain four points behind the leaders. However, it is the first time Emery has avoided defeat against a Premier League top six opponent having been handed a baptism of fire in losing to Manchester City and Chelsea in his first two matches in charge. "Against Man City, Chelsea, Liverpool - these are three teams in front of us (in the table) and you can see how three different matches we played," said Emery. Today is a more complete game for us." Emery's Sevilla beat Liverpool in the final of the Europa League in their first season under Jurgen Klopp in 2016. But the Spaniard believes Liverpool's progress since is an example for Arsenal to follow. "They can win the Premier League this season. They play the final of the Europa League three years ago and last season they were in the final of the Champions League," added Emery. "They are a very good example for us. "For the supporters it is a great match and a good spectacle, but I am only 50 percent happy because we wanted to win." In contrast to their last visit to the Emirates when they conceded three times in five minutes nearly a year ago, Liverpool needed to show their new-found defensive resolve as a confident Arsenal started and finished the brighter. "It was very intense. It was clear Arsenal was in a very good moment," said Klopp. "We made life too easy for them." Alisson Becker spread himself well to block from Lacazette before Pierre-Emerick Aubameyang's deflected effort from the edge of the area flew just wide early on. Granit Xhaka fired too close to Alisson from a well-worked corner, but the Brazilian international was fortunate when he rushed from his goal and was beaten to a floated cross by Henrikh Mkhitaryan, whose header drifted inches wide. However, Liverpool also had plenty of chances in a thrilling first-half that somehow lacked only goals. A dubious offside decision denied Sadio Mane the opening goal and Virgil van Dijk twice should have scored when he was first repelled by Bernd Leno and then flicked a header against the post with the German 'keeper caught flapping. Leno didn't get so lucky with his next mistake as he palmed Mane's dangerous cross back into the heart of the box and Milner drilled into the unguarded net. 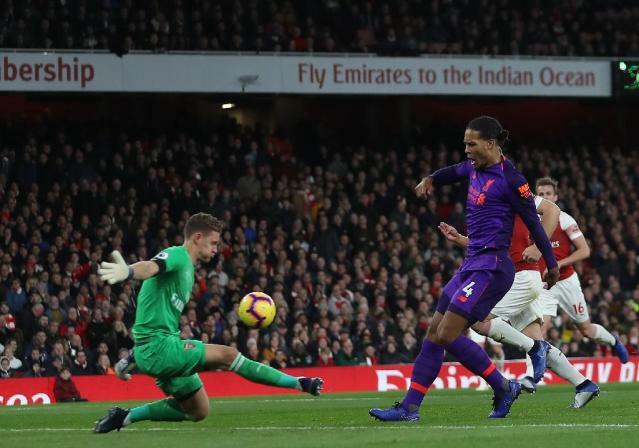 However, Leno made amends with a fingertip stop to again deny Van Dijk and Liverpool a crucial second following a towering header from a corner. "Virgil said to me afterwards: 'I should have scored a hat-trick' and he didn't even score one," said Klopp. Emery's decision to sacrifice Aubameyang rather than Lacazette with his substitutions was vindicated when the French international kept his composure to brilliantly curl into the far corner after being forced wide by Alisson. A return of five points from a possible nine from visits to Chelsea, Spurs and Arsenal is already a drastic improvement on Liverpool's record of a single point from away games against top six opposition last season. Yet, even that upturn may not be enough to keep pace with a City side showing no let-up after romping to the title with 100 points. "It's not nice of course, but a point at Arsenal will always be a good result," surmised Klopp.